It had been a few days—maybe even weeks—since we’d seen a new report about the devastating impacts of climate change, but, as expected, that short streak has ended. The latest end-of-the-world-type report comes from the Union of Concerned Scientists, and let’s just say there’s a reason these scientists are so concerned. Their report, Encroaching Tides, found that the frequency of tidal floods in coastal areas will increase dramatically over the next 15 to 30 years. In some areas, that could mean flooding more than once a week. And it gets worse down the road. According to the report, in 2045, Philadelphia could experience over 200 tidal floods a year, Miami could have 250, and Washington, D.C. could reach 400. 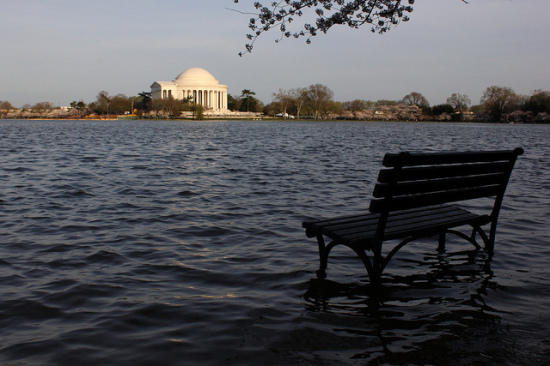 For context, D.C. currently has around 50 tidal floods a year. 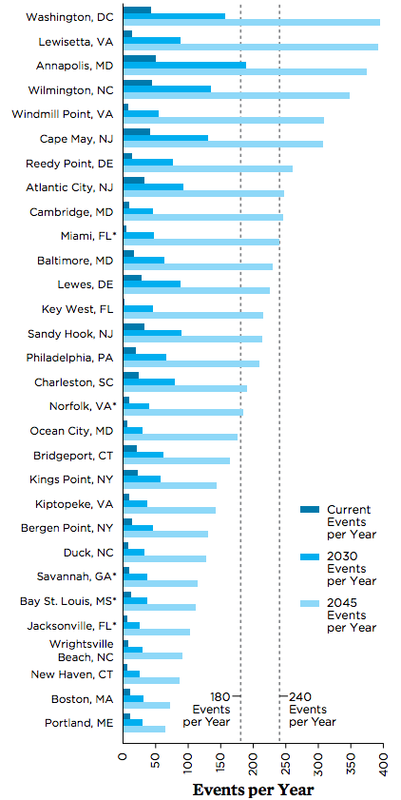 The report presents four key strategies for cities to boost their resiliency: upgrade at-risk infrastructure, stop building in vulnerable areas, consider benefits and risks of adaptation measures, and to develop a long-term vision. Climate Change New York City Philadelphia Washington, D.C.